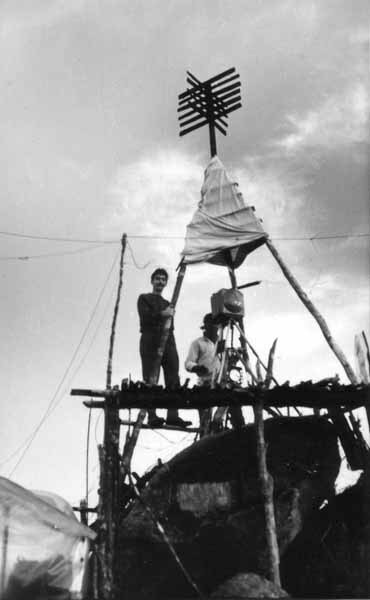 Albie Field & a Malaysian surveyor on Khao Tawe 1968. Under the tellurometer can be seen lamps for observations. The radio aerial is clearly visible. At the base of the Rock was a charging engine 300w for battery charging.